RégimA is the most advanced, medically accepted skin care programme created to attack the ageing free radicals and toxins associated with modern living. These elements are responsible for most of the skin’s visible signs of ageing, including loss of skin tone and wrinkles. RégimA is a unique skin rejuvenation and treatment range manufactured for the use of doctors and skin care professionals. 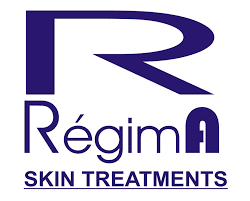 Extensive use of the very finest potent natural ingredients from Europe, South Africa and other tropical regions and indigenous wound healing, skin repairing plants, ensures RégimA‘s status as a skin treatment leader in the world market. Safely, gently and naturally RégimA helps restore the skin’s youthful appearance, improving colour, tone and texture, smoothing away fine lines and uneven skin colour, bringing back that glow of a good, healthy skin, irrespective of age.